La Cucchetta is located in Dormelletto, surrounded by the greenery of the Parco dei Lagoni di Mercurago, just a few kilometres from the charming village of Arona. 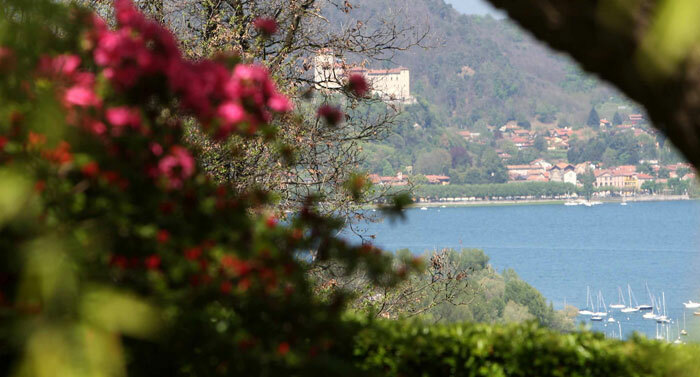 You can enjoy a beautiful panorama over Lake Maggiore opposite the Rocca di Angera, a fortified castle dating back to the 10th century. La Cucchetta was founded in the early 1900s as part of the famous Dormello Olgiata breeding farm, the breeding ground of the most famous racehorses such as Ribot, Nearco, Tissot. Here Federico Tesio with his wife Donna Lydia Fiori of Serramezzana bred thoroughbred horses, creating the best genealogical lines in the world, in a mild climate and mitigated by the beautiful Lake. 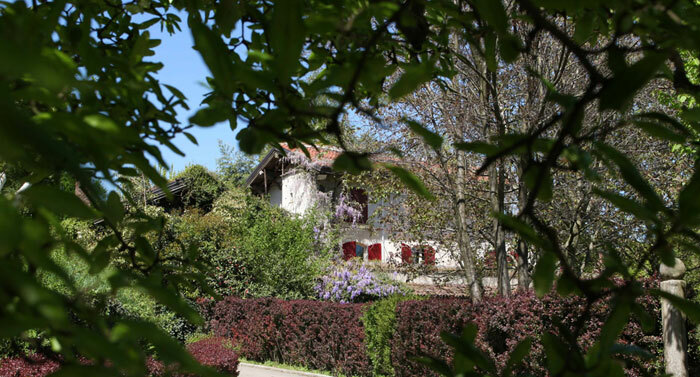 Our guests can stay in one of the two magnificent apartments built over the old stone stables. From here they can admire the foals that are born and reared in this enchanting place. In this splendid setting, where nature plays host, guests will rediscover the magic silence and peace in a warm environment that is never overpowering. They can take long walks along the fabulous old chestnut forest paths of the Parco dei Lagoni di Mercurago, or visit the many tourist attractions that surround the territory: Isola Bella, Isola dei Pescatori, Rocca Borromeo of Arona, Villa Taranto, the Hermitage of Santa Caterina del Sasso. Fuelled by great passion, the owner renovated the house and the stables, integrating them into the surrounding nature and has managed to continue with talent and experience, in the spirit of Federico Tesio, the tradition of breeding.